La Dolce Diet combines recipes so delicious and exercises so simple that it won’t feel like you are denying yourself at all. La Dolce Diet gives you menu plans and advice on low fat Italian recipes, including fresh salmon carpaccio with chilli and oregano followed by Amaretto biscuits with vanilla trifle and light lamb burgers with sundried tomatoes and Pecorino cheese finished off with baked ice cream in crispy meringue! 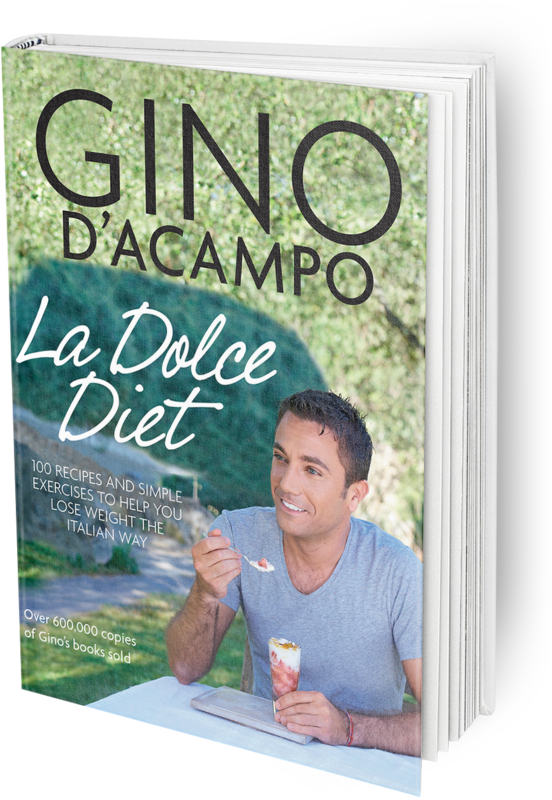 With Gino’s La Dolce Diet book, you can love food and lose weight at the same time! There is a great choice of breakfasts, lunches, quick meals, one-pot meals and food for an energy kick. In fact everything you need for food that’s full on flavour but light on calories! If you want the very best of both Italian worlds, click below to buy La Dolce Diet or to view recipes in La Dolce Diet!